Here is a list of upcoming shows and expositions for 2019 that you might find helpful for advance planning. CES showcases more than 4,500 exhibiting companies, including manufacturers, developers and suppliers of consumer technology hardware, content, technology delivery systems and more; a conference program with more than 250 conference sessions and more than 180K attendees from 150 countries. The CES (Consumer Electronics Show) is a giant trade show that began as an annual electronics show for consumer electronics products such as TV, Radio, etc. Since it has become such a large show, manufacturers of products such as major appliances will take advantage of this venue to show futuristic products. So, while you may see appliances at this show, it is certainly not the main venue for appliance manufacturers to exhibit their product lineups. The NAHB International Builders’ Show® (IBS) is the largest annual light construction show in the world. The 2019 Builders’ Show will bring together more than 1,500 top manufacturers and suppliers from around the globe in 600,000 net square feet of exhibit space, showcasing the latest and most in-demand products and services. KBIS, in conjunction with the National Kitchen & Bath Association (NKBA), is an inspiring, interactive platform that showcases the latest industry products, trends and technologies. KBIS is the voice of the kitchen and bath industry and has been for 50 years. The National Kitchen & Bath Association (NKBA) is the not-for-profit trade association that owns the Kitchen & Bath Industry Show® (KBIS), as part of Design and Construction Week ® (DCW). 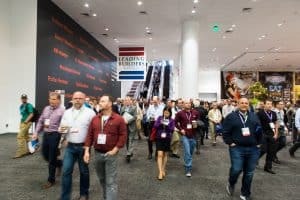 Over 10,000 attendees passed through the doors of the San Francisco Moscone Center June 26-28 to take part in PCBC 2018, three days of education sessions, keynote addresses, and the newest products showcased by more than 350 exhibitors. For many years the PCBC has been scheduled for Weds/Thurs and ending Friday of the last week of June. In 2019, the PCBC will be a month earlier. Please make note of this and plan accordingly. 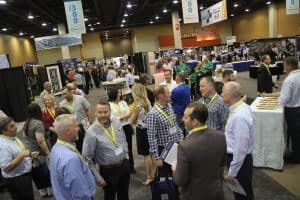 In 2018 the SouthWest Builder Show was held on October 10th, in the Phoenix Convention Center.